Over time, 50 Dutch jihadis have returned to the Netherlands. During the recent presentation of the 2017 Annual Report of the Dutch Intelligence Service AIVD, director Rob Bertholee said that currently around 35 more jihadis are trying to return to the Netherlands. Around 30 members of the Dutch jihad contingent, mainly women and their young children, are being held in camps controlled by Kurdish militias in Northern Syria and Iraq. In recent months the Dutch intelligence services visited many of the Kurdish camps to interview the detainees. [ii] It is most likely that the Dutch military intelligence service MIVD carried out the interviews, as it is responsible for the security of the Dutch military personnel training local forces in Iraq and Syria. When this news broke in the Dutch press, family members of those held in the camps were upset and demanded information from the government about their loved ones. Although it is understandable that families want to hear from their members, it is not to be expected that they will get answers from the government as the main task of the intelligence services in the area is to gather information to support threat assessment work for the Dutch forces in area and also to provide insights for general threat assessments in the Netherlands. A high and rising number of children are involved. In early 2017, the AIVD assessed the number of Dutch children in Syria and Iraq at 80. [iii] In early March 2018 the office of the National Coordinator for Security and Counterterrorism reported that the Dutch jihadis had more than 145 offspring within the Islamic State. By late March this number was raised to 175, with a majority of the children being only four years old or younger. It is a harrowing picture. Men have to swear allegiance to Abu Bakr al-Baghdadi, enter mandatory military training, and then join the fighting in active and support roles, often committing atrocities. The women are required to bear many children and recruit new women. They also receive weapons training but the actual use of weapons is limited. Women are also ordered to carry out corporal punishments. Children within the “caliphate” witness bombings and atrocities and their regular education includes jihad lessons. At the age of 9, girls have to wear veils in public while boys go to training camps. With this knowledge, the Dutch government decided that all three groups – men, women and the children too – might be a threat to Dutch national security. Children from age 9 upwards are now categorized as jihadist travellers by the Dutch intelligence services. Roughly one third of the returnees are women. Ten children under the age of nine also came back with their mothers and are not counted as returnees. The Dutch government divides the returnees into three groups in its security work. The first group is the biggest concern. It is composed of Dutch nationals who the AIVD believes “could potentially move on to planning or carrying out attacks.”[vi] Individuals in this group may take direct instructions from a jihadist group in Syria or Iraq or simply be inspired by jihadists. They are immediately arrested and put on trial for belonging to a terrorist organization. They are held in a maximum security prison in the Netherlands from arrest through the trial and remain there if convicted. A second group does not pose a direct threat of violence but is still a risk. The AIVD report on returnees states that these individuals may carry out non-violent activities such as recruiting and logistical support for others, including attack cells in other European countries. They might also plan to return to Syria or Iraq and still express their sympathy for the jihadist cause. Most members of this group are being monitored carefully and, if possible, brought to trial. In the third group, one finds individuals who became disillusioned with what they saw and experienced in Syria and Iraq and also seem to have renounced their jihadist beliefs. This group is still being monitored but generally does not face prosecution. The expected influx of new returnees will create a bigger problem. This set of jihadists has been in Syria and Iraq for longer than the first wave of returnees and has seen more fighting and destruction. The story of one young woman in this cohort illustrates the risks and concerns. Ilham Borjani, also known as Oum Fudayl, left the small Dutch city of Gouda in 2013 to join the “caliphate”. [vii] In July 2017 her name was added to the Dutch national terrorism list. [viii] Now 24 with one child and pregnant with another, she is being held at the Ain Aissa camp in northern Syria but wants to return to the Netherlands. In an interview with a Belgian journalist, Borjani said the Dutch government was not helping to get her out of the camp where she was being held. In the interview it also became clear that she was not remorseful. The judgment of the court only became public in April 2018. In a response, the Minister of Justice and Security, Ferdinand Grapperhaus, said that the Dutch government would disregard the court order for security reasons. [x] As Ilham Borjani is clearly seen as threat by the Dutch government, officials are not willing to risk the lives of Dutch soldiers or law enforcement officers to extract her from dangerous territory. 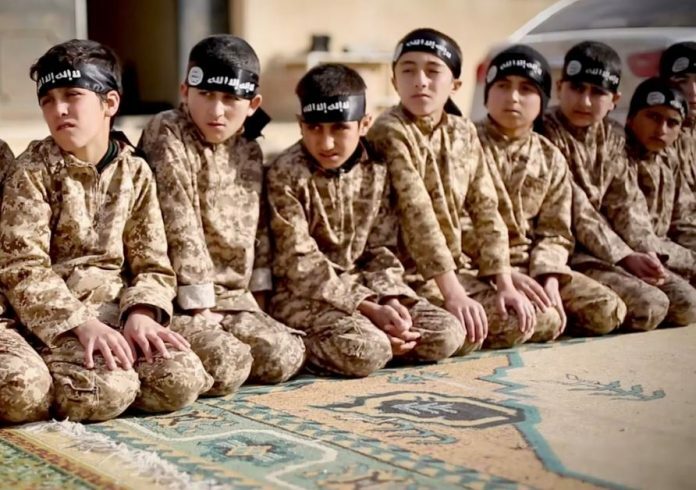 In sum, there is sympathy for the “caliphate children”, but it is mixed with deep fear and anger. Fidan Ekiz, a columnist for the largest Dutch newspaper Algemeen Dagblad, described the situation this way: “I feel great anger for these women. They deliberately chose to give birth and raise their children in the caliphate. They, like the male IS fighters, show little or no repentance, but now want to return as the caliphate is collapsing, all of a sudden. For example, the pregnant Dutch jihadist, who the court in Rotterdam has now ruled must be retrieved.